of contact between North Korea and Mona Lisa aroused many questions and excitements. In a closed society where only the state-admitted art form can exist, to the North Korean individuals who are cut o from the understanding of artistic context or vale, how will this famous western woman be seen? With this question in mind, Ham Kyungah wanted to know how the image of Mona Lisa is accepted to different people in different places and different situations. As Ham was working on the series of embroidery works of North Korea, she came across with the embroidered Mona Lisa and a commemorative stamp. The moment she met with Mona Lisa made in North Korea was a sheer surprise, for it was a general belief that North Korea takes an exclusive stance towards western culture. The embroidered Mona Lisa which boasts in high degree of completion by the high skilled master craftsman created a unique image different to the original, and thus caught artist's eyes. 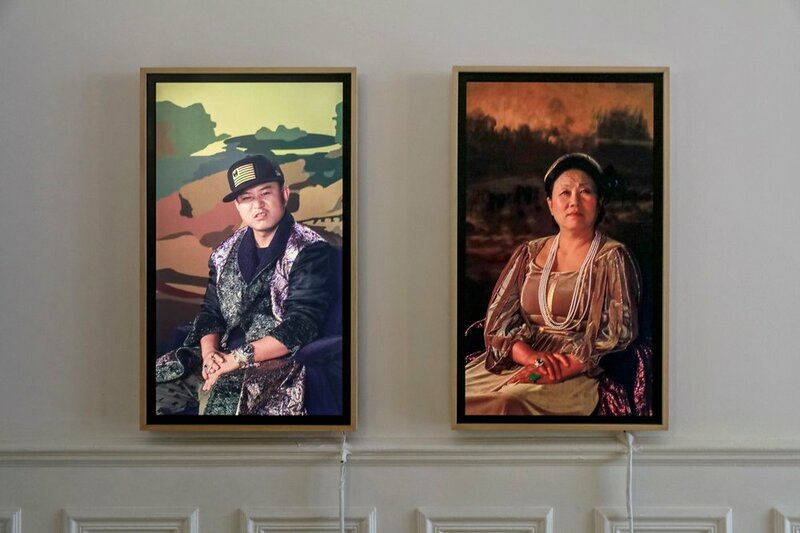 These interviews of North Korean defectors or their stories collected in secret were centered on Mona Lisa and their stories were connected to the broader narrative of their life in North Korea, leaving the country and settling down in a new environment, and within this narrative, a new metaphysical and three-dimensional structure of Mona Lisa was formed.